After months of speculation and all the setbacks faced, promoters of the planned mega party, Action Democratic Party of Nigeria (ADP) are expected to formally submit forms for registration to the Independent National Electoral Commission (INEC) today. 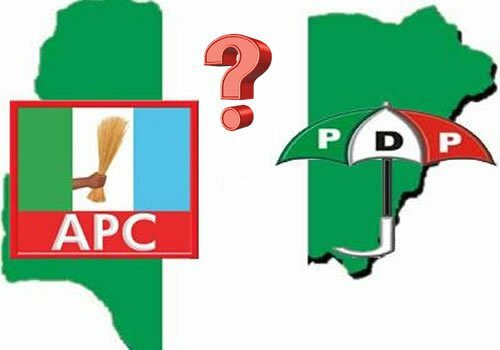 The new party is being floated by members of the Peoples Democratic Party (PDP), aggrieved members of All Progressives Congress (APC) a number of other political groups. A chieftain of the party said officials of ADP will be at INEC at 11 am today. He described the submission of forms for registration as a victory over what he called devious moves by some well placed Nigerians to frustrate the formation of the party. Daily Sun had recently reported of plots by some forces to frustrate the registration of ADP. It was gathered that some influential Nigerians were planning the fall of the mega party even before its expected birth. A security source disclosed that a booby trap had been set for ADP ahead of its planned registration. The source explained that earlier strategic meeting planned by key elements behind ADP on December 19, 2016 was frustrated by the same people who want to nail the new party. According to him, the faces behind the ADP, especially those from the APC do not want to be identified, a development he said has not helped the cause of the planned party. The ADP had planned to hold a strategic meeting in Abuja on December 19, but the meeting was called off largely on account of a number of the stakeholders pulling out. He disclosed that the main plan of those against ADP was to ensure it did not get off the ground as build up to the 2019 election gathers steam. on to ensure their membership and for those who members of the APC and are aggrieved, a plan is underway to resolve the grievances and mend fences”. According to the security source, a crack team has already been set up to silently work out ways of shoring up the strength and base of APC in all the six geopolitical zones. The source stressed “The APC came to power with a deliberate plan and agenda. Its plan is not just to get power but to also keep it. This party is not going to make the mistake of the PDP, which failed to stop the merger of the legacy parties in 2013. This ruling party surely will defend what it has got”.